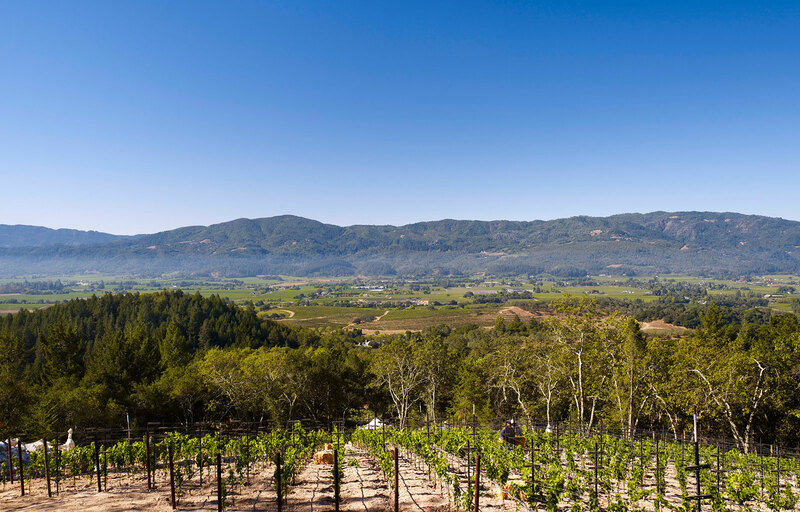 This 4,200 square foot single story home is located in the Napa Valley. 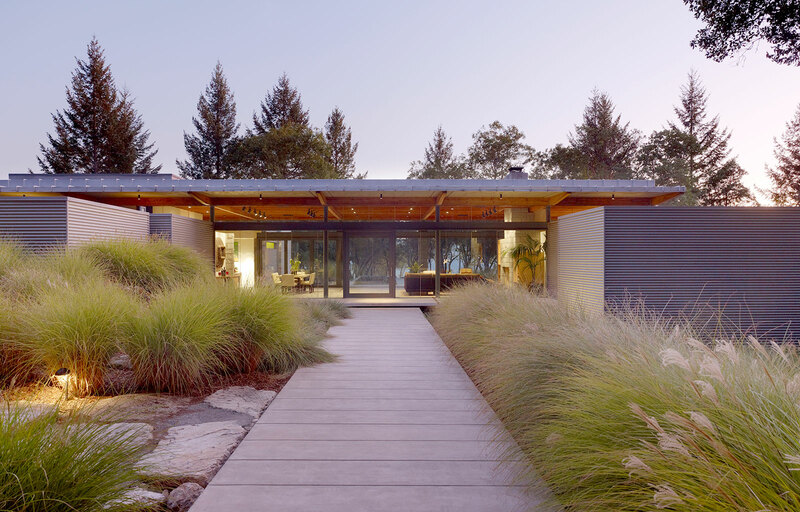 The house sits on the upper portion of a 42-acre site accessed by a private road with a vineyard lower on the site. The house has been designed as a weekend home and office for a couple, as well as a place for entertaining. 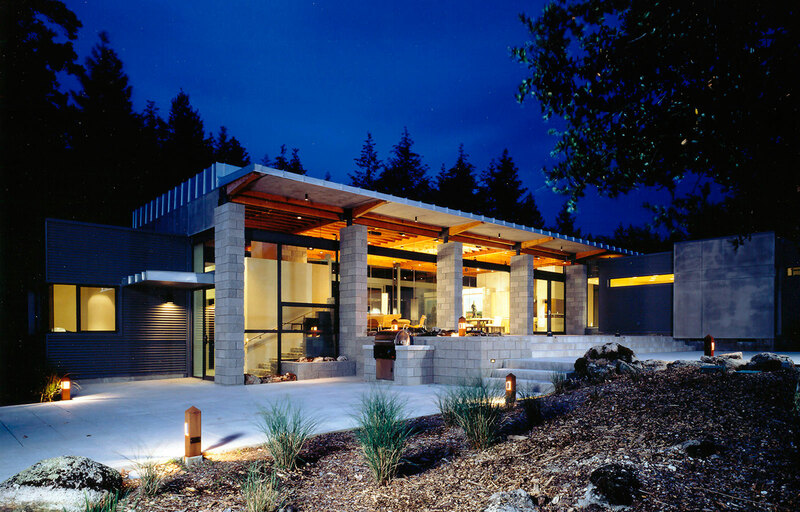 This house emerges from its wooded hillside site as both a contrast to as well as an integrated part of the landscape. The house sits as a very modern and ordered series of rectilinear volumes clad in precise and beautifully finished exterior materials. 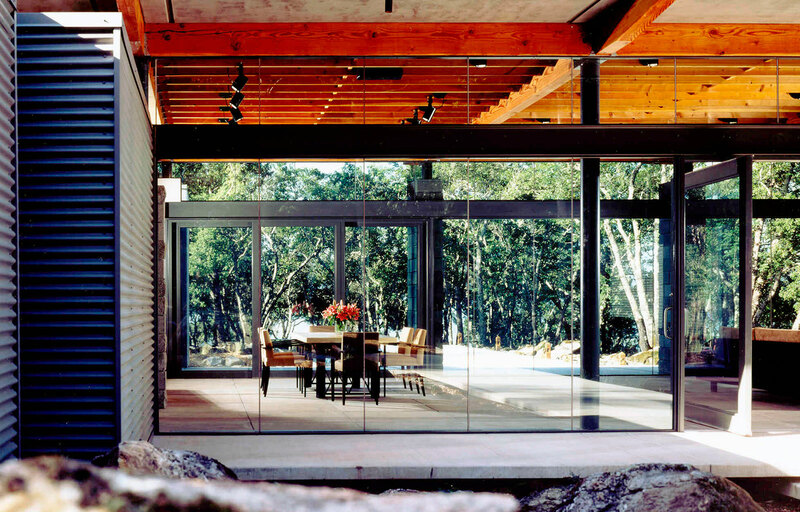 The house is designed to be an integrated part of its surroundings with elements such as a central living space composed of glass walls that provide a uniquely framed view out to the landscape beyond and slender steel columns which support exposed wood roof beams, alluding to the existing trees on the site. The interior material palette ranges from the simplicity of plywood ceilings and polished concrete floors to the rich texture of cleft quartzite stone stairs and Mexican glass mosaic tiled bathroom floors and walls. Walls are plaster veneered in subtle colors. 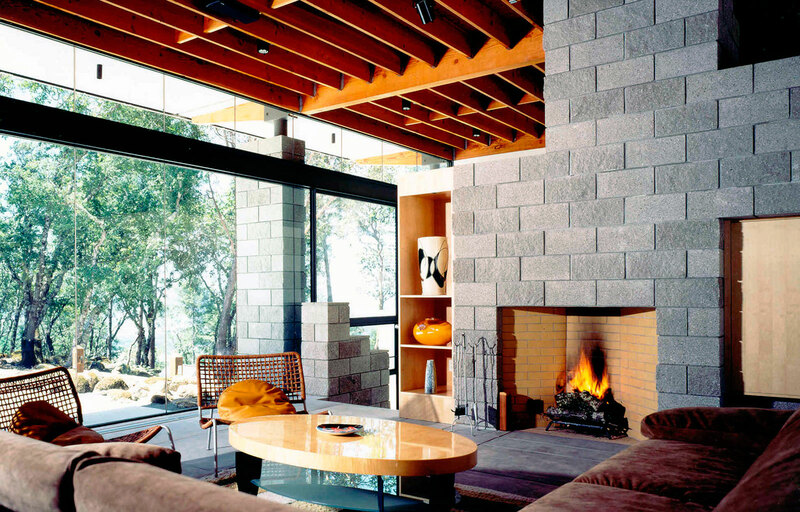 Living spaces are further defined by suspended maple-veneered ceilings that float below exposed wood roof joists. Millwork elements are custom designed and composed of ebonized and stained maple veneers, brushed stainless steel and silver travertine. 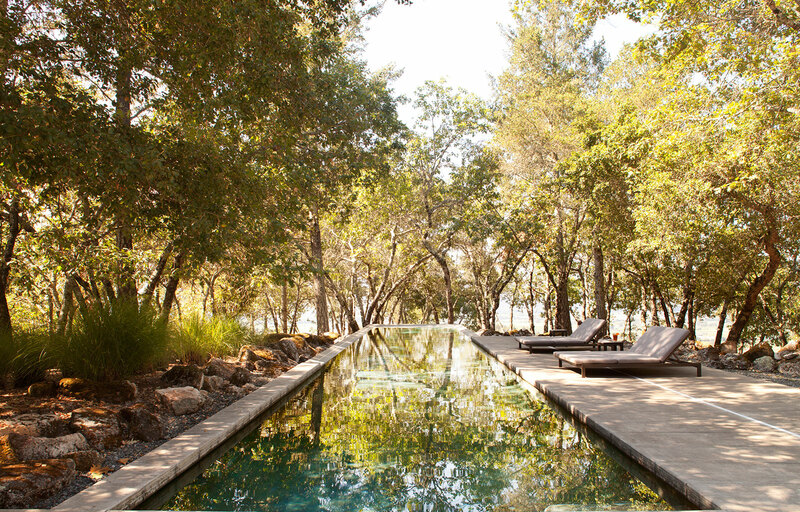 The landscape design includes stepped terraces, a lap pool, a spa, a barbecue and an exterior fireplace set within the natural surroundings of boulders and native oak trees.